I think we can all agree that 3D is now officially a thing. It comes and goes every decade or so and is usually a passing gimmick, but this time it seems to be here for the duration. For now. When it comes to animated movies, the 3D is usually pretty good, at least from a visual standpoint. However, live action is a whole different animal (probably a lemur) and it’s a lot more hit and miss. And when it misses, you’re sitting in the theater wearing silly glasses wondering whether paying almost double for tickets was really worth it. My focus is on the 3D itself, as that’s the point of seeing one of these films. I’m there for the spectacle, as are many of you. Thus, this one time I’m going to give other factors a pass. Wanna get away for awhile? 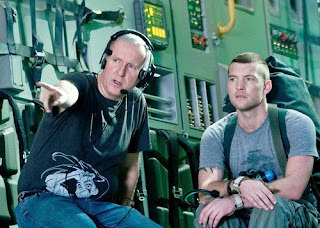 Moving forward with the most anticipated films of the next decade, Fox Chairmen Jim Gianopulos and Tom Rothman announced today that Academy Award-winning filmmaker James Cameron has agreed to make AVATAR 2 and 3 as his next films. Cameron, who had always viewed AVATAR as the creation of a new world and mythology, will begin work on the scripts early next year with an eye towards commencing production later in 2011. Cameron will decide if he will shoot the films back-to-back after he completes the scripts, but the release of the first, as yet untitled sequel, is targeted for December 2014, with the third film contemplated for a December 2015 release.